​Manny Machado has done just about everything in the last two days to ruin his reputation. 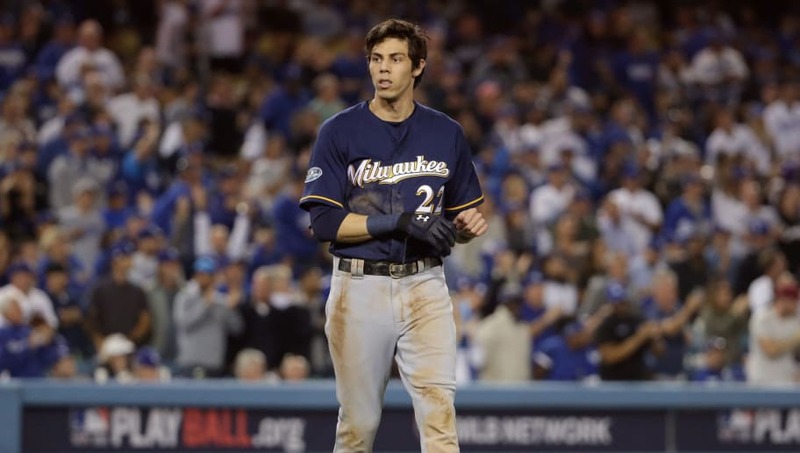 Reporters asked Milwaukee Brewers outfielder Christian Yelich about the controversial play at first base where Machado kicked Jesus Aguilar's ankle in a clear act of malice. Yelich called out Machado without hesitating. Then, after the postgame interview was over, Yelich had some more choice words for Mr. Machado off the record. ​​Apparently, ​when Machado does hustle, he feels the need to attempt to injure other players. Yelich had every right to blurt his NSFW insult but we're just surprised he kept his cool during the postgame interview. "I have a lot of respect for him as a player, but you can't respect someone who plays the game like that." "It's a dirty play by a dirty player. I have a lot of respect for him as a player, but you can't respect someone who plays the game like that." He's speaking the truth. What exactly is going on with Machado? In less than 48 hours he's gone from one of the MLB's most adored and sought after superstars to one of the game's most unlikeable players. One thing's for certain: we would've rather seen anyone else ​score the game-winning run last night.